Vanilla Heaven hand made and designed cupcakes with meringue buttercream, hand made fondant lace tops, and intricate hand made pearls and flowers on a gorgeous custom made cupcake stand, only available at Le Cupcake. Hi, I'm just letting potential customers know that we are a business that makes custom designed cupcakes, & therefore use top quality fresh ingredients, making everything from scratch (unless stated). We are not a cupcake business that produces them on mass, or buys them in from elsewhere. We make everything from scratch (including the decorations). For that reason we do not have cupcakes on hand for taste testing at all times, and each time we do taste testing it takes alot of time to bake & ice your cupcakes in the different flavours & style of recipes. 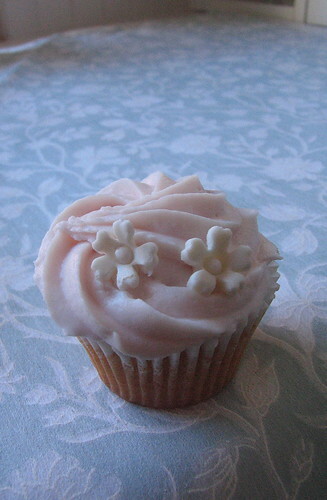 Therefore taste test cupcakes are just that, and are NOT samples of what your cakes will look like on the day. Because they are each made by hand, with intricate detailing & decoration, it may not be viable to make samples prior to your event. Many people change their minds regularly on which style & design they want, so the best way to accomodate this is by way of making an appointment to discuss styles etc. Like cake shops / decorators, unfortunately we do not usually make your exact cake beforehand, but we are happy to do sketches to give an idea of the design. The quality of our cakes is reflected in the pictures on this site, or on our website at www.lecupcake.com.au. Our cupcakes are extremely unique, catering for those wanting something a little more special! The uniqueness of our cupcakes are such, that they delight all who see them! If more confirmation is needed we are only too happy to provide references from previous clients. Labels: taste testing cupcakes "cupcakes in sydney"
Wedding cupcake sample, originally uploaded by kylie lambert. Cupcake samples with different flowers. 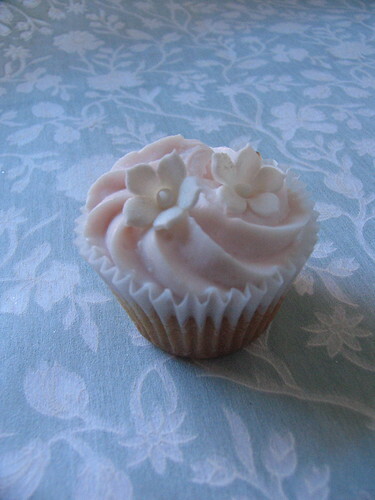 Wedding cupcake, originally uploaded by kylie lambert. Wedding cupcake 2, originally uploaded by kylie lambert. 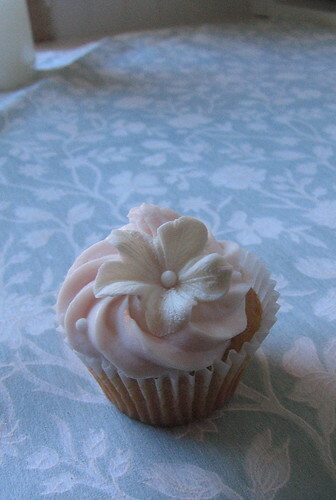 Top View of butterfly / flower cakes. 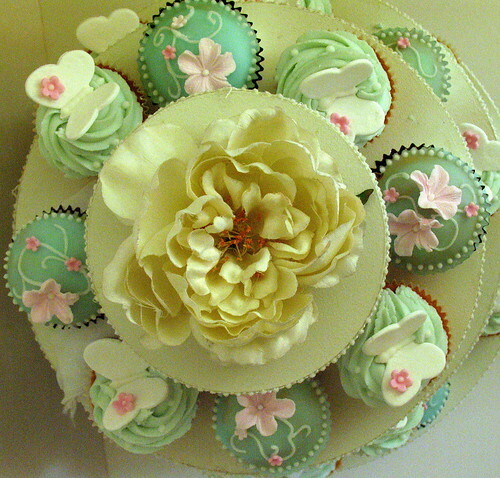 Top View of butterfly/flower cakes., originally uploaded by kylie lambert. Hand made and designed butterfly and flower cupcakes. On a hand made and designed stand! Flower & butterfly cupcakes! Not quite finished yet! 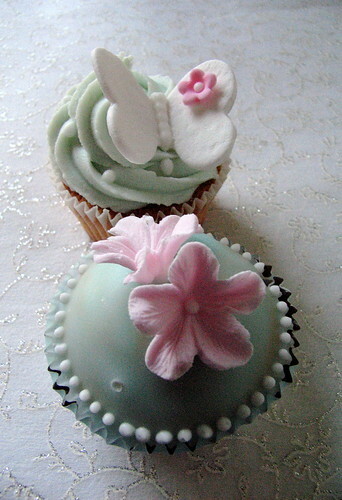 Flower & butterfly cupcakes! Not quite finished yet!, originally uploaded by kylie lambert. Gorgeous shabby chic style cupcakes. Hand made roses adorn these delicious mud cupcakes, with fondant icing. Delicious chocolate mud cupcakes with fondant icing and hand made flowers.